NASCAR's Carl Edwards recounts his crash! on Ellen DeGeneres Show Wednesday, April 29. You also get to hear Carl and his mother discuss their NASCAR interaction. Celebrated on May 15, NASCAR Day is an opportunity for fans, corporations, schools and organizations across the country to donate to The NASCAR Foundation to raise funds to help thousands of children live better lives. Proceeds raised will benefit both The NASCAR Foundation and Children's Miracle Network. Children's Miracle Network is an international non-profit organization that raises funds for more than 170 children's hospitals, creating miracles by funding medical care, research and education that saves and improves the lives of 17 million children each year. Since it began in 2004, NASCAR Day has raised more than $6.5 million for charity, truly uniting the industry to help those in need. Donate $5 and receive your 2009 NASCAR Day collectible pin at either the NASCAR Day Web site or participating APlus at Sunoco location. Become a NASCAR Day Crew Chief for your corporation, school or organization. Sign up for The NASCAR Foundation Volunteer Network. Help spread the word by telling a friend. Click here to learn more about NASCAR Day and purchase your own NASCAR Day pin. Moses Smith, piloting the No. 16 Hasa Pool Product/White Flyer Toyota Camry for Bill McAnally Racing finished in eighth at the NAPA AUTO PARTS /Toyota 150 presented by Exclusive Energy Drink at Madera Speedway. Smith and the Hasa team from BMR put the car on the inside of the fourth row to start the 150-lap race. Smith took the green flag maintaining his position of seventh for the first 25 laps. Tight racing caused damage to the No. 16 Hasa Toyota Camry. Smith radioed in to his crew chief Mario Isola at lap 50 that he had low fuel pressure and that his water and oil temperatures had risen. While under the third caution of the night, Smith brought the car to the infield where the No. 16 Hasa team quickly went to work to pull out the nose of the Hasa Toyota. Back underway, NASCAR scored the No. 16 a lap down. Smith continued to make his way thru the field and at lap 136, he was the “beneficiary”. The No. 16 HASA Pool Products Toyota Camry was once again scored on the lead lap. He passed two more cars for position to finish the race in eighth. Smith leaves Madera seventh in the point chase for the championship and less than 50 points out of the top five. The next event on the schedule will be the annual NASCAR Camping World Series East/West combination race, the Long John Silver’s 200, at Iowa Speedway in Newton, Iowa on May 17. The NAPA AUTO PARTS/Toyota 150 presented by Exclusive Energy Drinks is televised on SPEED Channel’s Racing Across America Program on May 7th at noon PST. Check your local listings. BMR would like to thank the continued support of our race partners. For more information on Bill McAnally Racing and our race partners, please visit our website at www.billmcanallyracing.com. For more information on Moses Smith, please visit www.mosessmith.com. You can visit our sponsors’ websites at www.hasapool.com, www.whiteflyer.com, and www.tcitransportation.com . 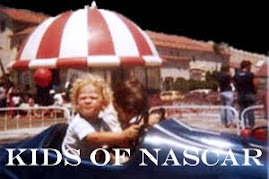 Important – when NASCAR Race Mom signs off the blog - please feel free to leave any comments and questions while we are gone - NRM will see them as soon as we log back in. If you are a first time user, your input might not appear on this blog until we return and approve them. However, rest assured that they will be saved and answered. NASCAR Race Mom will be checking for activity on this Blog frequently! On Thursday, Jason Bowles edged out Eric Holmes and Steve Park for Jimmie Johnson Foundation 150 title in the Camping World Series West. Friday found Greg Biffle and his Roush Fenway Racing team gambling their way to the win. Biffle didn't pit on the last stop in the Nationwide Series race. The 50-year-old Mark Martin became the third-oldest winner in NASCAR history Saturday night, snapping a 97-race winless streak with a dominating run. However, the racing was not the only reason Moses Smith was busy at the Phoenix International Raceway. The weekend provided the 2008 NASCAR Camping World Series West - Most Popular Driver plenty of opportunity to network. Moses also met with several local journalists including Phoenix-based NASCAR writer, race handicapper, general freelance writer, and local race team PR representative, Becca Gladden. Megan Gordon, Southwest Valley Education Reporter from The Arizona Republic | azcentral.com spent race morning with the team, both interviewing and photographing. She produced a slide-video entitled “I Call Myself a Lifer. Click here to view the video. However, Moses’ favorite networking opportunity was that he was able to meet with some of his fans. A couple of tweeple (people who use twitter) have organized a fan club for Moses. If you twitter, you can interact with the fan club at @StreetTeam16. They also have a website called Mo’s Minion Street Team. Moses met @StreetTeam16 member LaMont Bankson (@AZSpudKing) and friends at the PIR Cantina. They were able to ask questions and learn about their favorite NASCAR Camping World Series West driver. LaMont sent Moses the photos used in this article, showing off their new Moses Smith Racing Gear. This spring, Kim Burton, wife of NASCAR driver Jeff Burton, is partnering with Libby's Vegetables to encourage moms to connect with each other and share their winning solutions for getting back to the dinner table during these economic times. Ms. Burton was on-site at the Libby's Get Back to the Table tent at Dallas/ Ft. Worth, and Phoenix. She is also schedule to be on hand at Charlotte and Dover, to share her winning solutions and connecting with fellow moms. 1- Question – NASCAR Race Mom: Please tell my readers how you became involved in the Libby's Vegetables To Celebrate Victory At The Dinner Table campaign? Kim Burton - Libby's vegetables actually contacted me as someone whom they felt could represent their companies' feelings regarding family values and their "back to the table" campaign. After I was informed of the message that the company was promoting, I decided to become involved. Jeff and I place a high priority on our family life and this was a way for me to re-ignite people and highlight the importance of family dinners. 2- Question – It has been said that the NASCAR race community is truly like a close knit family. Just like any family there are good times and bad times. As a NASCAR Wife how has your experience in this area been? 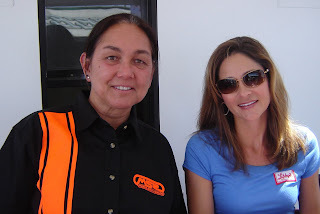 Kim Burton - Our driver's, crew's and their families are like a big family. Certainly, there are times when people within the sport disagree. There have been times when I have not agreed with things that others have said or done, but for the most part, I have found that nascar folks are warm, caring people who would help you at any time. In times when things aren't going well professionally, you can always count on your close friends to pick you back up and certainly, Jeff and I have been on both the giving and receiving end of that kind of caring. 3 - Question – I know you sit on the Pit Box next to your husband's Crew Chief during his races. What are you thinking about while Jeff is on the track? Kim Burton - My thoughts are varied during the races. I am always following his progress and the decisions and changes being made during the race. I follow the race strategy and constantly worry that the outcome of those decisions will be good . Each lap brings different circumstances so, my emotions change constantly. I can go from being completely excited about Jeff and his chances for a great run to being completely concerned that he will be involved in an accident. I always base my thoughts and emotions on the tone of Jeff's voice as well as the spotter's information about what is happening on the track. 4 - Question – Has either Paige or Harrison shown in interest in following in their father's footsteps? Kim Burton - Paige is completely immersed in her equestrian pursuits. She wants to become a grand prix rider one day. Harrison is currently competing in national quarter midget events and locally at Bobby Labonte's quarter midget track in Salisbury, NC. (quarter midgets are quarter scale race cars similar to sprint cars) He loves to race and loves to compete. But, he also loves to play basketball, to ride skate boards and participate in many other sports. He loves to race right now, but he is only 8 years old and who knows where his interests will lie later. We will have to stay tuned to see what he will decide to pursue. 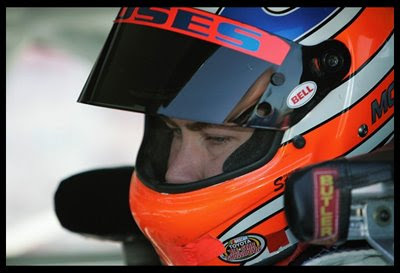 5 - Question – What the best tip you would tell a driver like my son Moses Smith, who is competing in the NASCAR Development Series? Kim Burton - The best tip I could give to your son Moses would be to try to enjoy his time as a kid and racing. We try to make sure that Harrison understands that we expect him to learn and progress and to take his racing seriously, but we also give him the choice, always, as to whether he wants to compete. I think that some parents (not only racing parents, but parents of children in any other sport) put so much pressure on their kids to succeed that they forget that the whole purpose of kids sports is for kids and families to enjoy activities together. Childhood should be fun and so, Jeff and I try very hard to maintain a balance within what we ask of our kids. We want them to learn to take responsibility and to work with a team, but we also want them to look back on their childhood and remember the fun we had together as a family and the enjoyment they received from participating in their activities. 8:00 a.m. Garage opens. Inspection begins. 9:15 a.m. Mandatory Rookie Driver Meeting. 10:00 a.m. Mandatory Driver/Crew Chief/Spotter Meeting followed by drawing to determine order of qualifying. 11:00 a.m. to 12:00 Noon Practice. 12:30 to 1:00 p.m. Final Practice. 1:00 p.m. Qualifying Inspection opens. Groups determined by qualifying draw. Tempe resident Moses Smith, piloting the No. 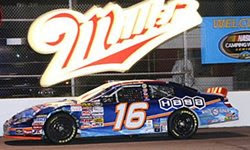 16 Hasa Pool Product/White Flyer Toyota Camry for Bill McAnally Racing loves racing at Phoenix International Raceway. Smith and the Hasa team from BMR put the car on the grid for the 150-lap race starting in eleventh. By lap 63 the No. 16 Hasa Toyota Camry was running in seventh. Crew chief Mario Isola made the call to pit with the leaders at lap 85 taking on fuel and then fresh right side tires at lap 86. Smith restarted the race in 21st but in 15 laps had moved into 13th. Smith encountered some debris while avoiding a two car crash in turn two at lap 134 cutting down his front right side tire. A late in the race pit stop brought him back to restart the race in 19th. With fifteen laps to go, Smith was only able to gain three positions to finish in 16th. Smith leaves PIR seventh in the point chase for the championship and only fourteen points out of the top five. The Jimmie Johnson Foundation “150” will be televised April 23rd on SPEED Channel. The NAPA AUTO PARTS “150” presented by Exclusive Energy Drink will be on Saturday April 25th at Madera Speedway and televised on SPEED Channel on April 30th. BMR would like to thank the continued support of our race partners. For more information on Bill McAnally Racing and our race partners, please visit our website at www.billmcanallyracing.com. For more information on Moses Smith, please visit www.mosessmith.com. You can visit our sponsors’ websites at www.hasapool.com, www.whiteflyer.com, and www.tcitransportation.com . The NASCAR Camping World Series West race at the Phoenix International Raceway featured nine lead changes among four drivers. David Gilliland shot into the lead at the drop of the green flag and led the first three laps before cutting a right front tire and hitting the Turn 1 wall. In addition to the 86 laps Bowles led, Park was out front 39 laps and Holmes led 23 laps. Moses’ weekend was plagued with set-up issues. However, he managed to qualify in eleventh position. His race was progressing nicely and he worked himself into seventh place. Unfortunately, then Moses suffered from the same problem that ended Gilliland’s race. Moses cut a right front tire with just eight laps to go. After the unscheduled green flag pit stop, Moses reentered the field in nineteenth position. He maneuvered three passes in the last three laps of the race for a sixteenth place finish. With his runner-up finish, Holmes retained his lead in the championship standings with 535 points. The victory propelled Bowles, meanwhile, to second with 503 points. Pursley is currently third in the standings with 490 points, followed by David with 457 points and David Mayhew with 441. Rounding out the top 10 of the standings are Koch at 431, Moses Smith at 427, Harraka at 419, Thompson at 411 and Jim Warn at 376. The next event on the NASCAR Camping World Series West schedule will be the NAPA Auto Parts/Toyota 150 presented by Exclusive Energy Drink at Madera (Calif.) Speedway on Saturday, April 25. Well as most of my readers know, I am spending the weekend at the Phoenix International Raceway. The weather is beautiful and the fans are happy. The NASCAR Camping World West race was great until eight laps to go when Moses cut a tire. However, he ran a great race and finished sixteenth. The Nationwide race was fun to watch. Fellow NASCAR Camping World West drivers Johnny Borneman and Daryl Harr qualified for the race. Carl Edwards was running a good seven seconds ahead of the second place car before engine woes sent him behind the wall for repairs. So why the Root for Reutimann title? Well, today we have been enjoying the activities the track has to offer. 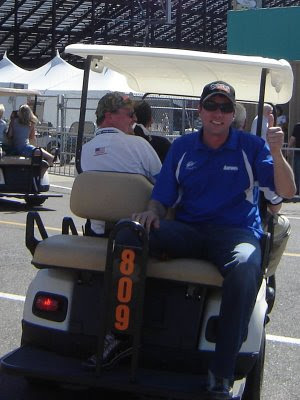 As we were driving the golf cart to meet with Kim Burton, we found ourselves behind David Reutimann's golf cart. It took a bit of convincing, but NASCAR Race Mom talked him into exchanging hats. NRM is now the proud owner of Reutimann's Aaron's Dream Machine hat. 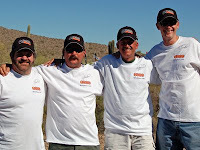 As you can see from the photo below, David is sporting a snazzy Moses Smith #16 Hasa Pool Products hat. David Reutimann proved to be a great sport and very fan friendly. So you know that he has made a new fan for life, and NASCAR Race Mom will be rooting for him to win tonight - go #00 Aaron’s Dream Machine Toyota. For those of you who twitter - David Reutimann has a new page up - click here to follow it. NEWTON, Iowa – Richard Petty, considered by many the greatest NASCAR driver of all time, will serve as Grand Marshal of Iowa Speedway’s NASCAR Camping World East/West Series race Sunday, May 17 in Newton, Iowa. Petty, an American icon referred to as “The King” by a legion of racing fans, retired from competitive driving in 1992 with 200 career wins including seven NASCAR Sprint Cup Series championships. During his 32 years of racing on the NASCAR Sprint Cup Series circuit, Petty saw the sport grow from the dirt tracks of North Carolina to multi-million dollar state-of-the-art tracks like Iowa Speedway. Stan Clement, Chief Executive Officer of Iowa Speedway, said Petty’s arrival in Iowa next month for the first of four NASCAR races in 2009 brings unprecedented star power to Iowa Speedway. “Richard Petty represents the very best in racing and we are honored to have him serve as the Grand Marshal for our NASCAR East/West race here at Iowa Speedway. His name is synonymous with NASCAR and winning and we are privileged to have him with us here in Iowa,” Clement said. In addition to Petty, Kyle Busch, the hottest driver in NASCAR Series races today, will also be in Iowa next month. Busch is scheduled to race in the NASCAR Camping World East/West Series race, Sunday May 17, following the Saturday Night Sprint All Star Race in Charlotte, North Carolina. “This is a terrific kick-off to the 2009 season at Iowa Speedway, and an opportunity for our fans to see ‘The King.’” Clement said. The Phoenix International Raceway has extended its partnership with the Jimmie Johnson Foundation for the April 16 NASCAR Camping World Series West race at PIR, which will again be named the Jimmie Johnson Foundation 150. This year's event will feature a 105 lap / 150-mile race for the Camping World Series West teams. The Jimmie Johnson Foundation - created by Johnson and his wife, Chandra - is dedicated to assisting children, families, and communities in need. The foundation strives to help everyone, particularly children, pursue their dreams. The partner programs for the Jimmie Johnson Foundation include San Diego Habitat for Humanity, the Hendrick Marrow Program, the Victory Junction Gang Camp, and Phoenix-based Make-A-Wish Foundation of America. 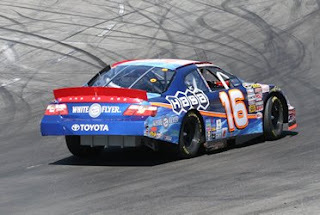 Moses Smith, the driver of the #16 Hasa Pool Products/White Flyer Toyota Camry is a Camping World Series West regular and the recipient of the NASCAR 2008 Most Popular Driver Award for the series. 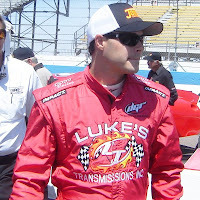 In 2008, Moses qualified outside of row seven for the Jimmie Johnson Foundation 150. During the first half of the race, the car became very tight and was hard to handle. However, a much needed pit stop around lap 90, new right side tires, and minor adjustments enabled Moses to battle into fourth position. After nine caution periods and a red flag period, Smith, whose car was set up for the long runs geared up for the final green, white, checkered sprint. It was quite a rush for the over 200 HASA customers and Moses' fans sitting in Turn 2. Their screams of excitement propelled Moses past a fellow racer and into 7th place on the final corner of the race! This year David Gilliland and Matt Crafton will be joining Moses in the field of thirty-five entries. Gilliland is a second-generation West Coast driver, who competed full time in the NASCAR Camping World Series West in 2004 and 2005 before heading to the NASCAR Nationwide Series and eventually the NASCAR Sprint Cup Series. Gilliland is also entered in the NASCAR Sprint Cup Series race at Phoenix. Matt Crafton is currently fifth in NASCAR Craftsman Truck Series. He drives the #88 Menards Chevrolet Silverado for ThorSport Racing. A couple of other former regulars in the West Series will be pulling double duty in a different way at PIR. Johnny Borneman (No. 8 Borneman Plastering Chevrolet) and Daryl Harr (No. 71 WestWorld Computers Chevrolet) plan to compete in the NASCAR Nationwide Series event as well as the NASCAR Camping World Series West race. General race tickets for the April 16 Jimmie Johnson Foundation 150 and all other events throughout the NASCAR event weekend at PIR can be purchased at www.phoenixraceway.com, or over the phone at 1-866-408-RACE (7223). 45 Matt Crafton, Tulare, Calif.
61 Brett Thompson, Jerome, Idaho Lonnie Rush Jr.
89 David Gilliland, Riverside, Calif. Contest Over - Kim Burton and Libby's Table-Gating Giveaway. Contest Over - Kim Burton and Libby's Table-Gating Giveaway. Winner to be announced soon. While track fare can be fun and easy; it is not always the healthiest solution to lunch or dinner at the race track. Also feeding your family from the track vendors can be a family budget calamity. That is why Kim Burton has teamed with Libby’s to “Encourage Families to Share their Winning Solutions for Getting Back to the Table.” They have launched, at select speedways and online, the Libby's Table-Gating Recipe Contest, a nationwide contest that will send five lucky finalists to New York City this September to compete in the Get Back to the Table month recipe cook-off judged by country superstar Sara Evans. Moms and dads can submit their family's favorite tailgating recipes using Libby's Vegetables at the Libby's tent at the race tracks or online at GetBacktotheTable.com. A winner from each of the four tracks (Dallas/ Ft. Worth, Phoenix, Charlotte and Dover), as well as an online winner, will compete in the cook-off and the grand prize winner will receive a family trip to Daytona, Florida! The contest ends June 30, 2009. To learn more about Libby's Vegetables' Get Back to the Table Tent at select race tracks this spring, families can log on to GetBacktotheTable.com. The site also features tips for saving time and money at the grocery store, tools for meal planning and an interactive recipe database of easy, delicious, budget-conscious recipes. An Outdoor Living Tailgate Kit is a perfect accessory to help you get your family back to the table while enjoying the races. 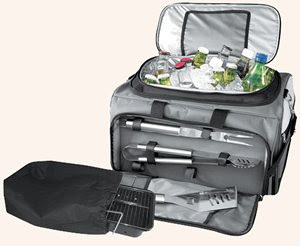 This tailgate kit tucks away neatly in your trunk, yet opens up to provide a world of on-the-go convenience and fun! 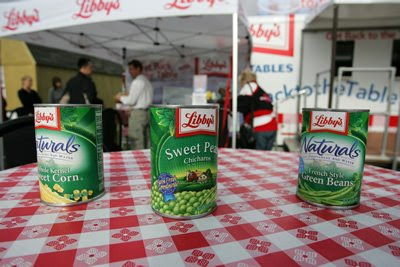 NASCAR Race Mom will be giving one lucky reader an Outdoor Living Tailgate Kit and 10 Libby's Vegetables cans! There are many easy ways to win. However, be sure you read all the rules so that your entry will be accepted. Giveaway ends Wednesday April 22, 20009. There will be one winner. ***You can enter by any method or all three (a total of three entries per day) – it is up to you. Best of Luck to all contest participants. 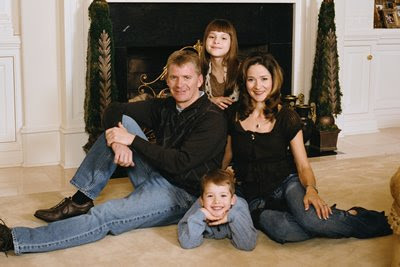 This spring, Kim Burton, wife of NASCAR driver Jeff Burton, is partnering with Libby's Vegetables to encourage moms to connect with each other and share their winning solutions for getting back to the dinner table during these economic times. Burton will be on-site at the Libby's Get Back to the Table tent at four major speedways - Dallas/ Ft. Worth, Phoenix, Charlotte and Dover - sharing her winning solutions and connecting with fellow moms. According to a recent USA Today/Gallup Poll, more than 80 percent of families are cutting back on dining out and reducing out-of-house entertainment altogether, demonstrating that families nationwide are resorting to ingenuity to stay connected and keep family time fun. "Family mealtime is an integral part of my family's daily routine, but with horseback riding lessons, quarter midget racing and weekends at the track, it can be a challenge," commented Burton. "My winning solution for making mealtime a reality is keeping meals simple - whether it's letting the slow cooker do the work or patching together a recipe with ingredients from the pantry. I'm excited to partner with Libby's Vegetables to encourage moms across the country to help each other by sharing their winning solutions." Families can visit their local race track in Dallas/ Ft. Worth, Phoenix, Charlotte and Dover or submit their winning solutions online. The best tips and suggestions will be featured in Libby's "Table Talk Guide", which will launch this September during Get Back to the Table month. "We're partnering with Kim Burton to continue Libby's tradition of underlining the value of family dinners," explained Bruce Wolcott, Vice President of Marketing at Seneca Foods, Libby's Vegetables parent company. "Kim is a loving, modern, on-the-go mom who strives to make time for her family and her community. We are very inspired by her dedication to her family and know that she can help encourage families nationwide to make dinnertime a cherished part of their daily schedule." NASCAR Race Mom is honored to have been chosen to participate in the “Kim Burton Teams Ups With Libby's Vegetables To Celebrate Victory At The Dinner Table” event at the upcoming NASCAR Race weekend in Phoenix, Arizona. 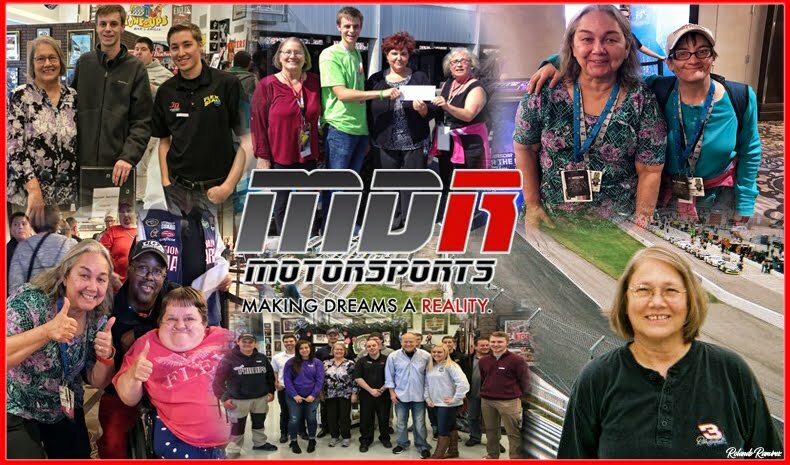 NASCAR Race Mom will be conducting its ‘At The Track’ live blog coverage of the NASCAR Camping World Series West race to be held at the Phoenix International Raceway on April 16th. This is Moses’ home track and we are working towards a great finish. NRM will be interviewing Ms. Burton on Saturday, April 18th. So if you have a question you would like considered for the interview, just leave it in the comment section. Additionally, Libby’s has graciously sponsored the next NASCAR Race Mom Blog Contest. Contest detail will be posted within the next twenty-four hours. DAYTONA BEACH, Fla. (April 9, 2009) – The National Association for Stock Car Auto Racing (NASCAR) announced today that its “stars of tomorrow” and short track veterans will gather in the greater Charlotte area for two special year-end celebrations. NASCAR will host a special week of activities culminating in the 2009 NASCAR Whelen All-American Series (NWAAS) Awards Banquet on Friday, November 13, and the new NASCAR Night of Champions Touring Awards Gala on Saturday, November 14. Both season-end awards banquets will be held in the recently-completed Embassy Suites Hotel Concord Convention Center which is located near the NASCAR Research & Development Center, in proximity to the future NASCAR Hall of Fame complex, as well as the home bases of many of today’s NASCAR Sprint Cup Series, NASCAR Nationwide Series and NASCAR Camping World Truck Series teams. Moving the banquets to the Charlotte area compliments the commitment the community has made to the business of NASCAR and the development of the NASCAR Hall of Fame. The NWAAS Awards Banquet will feature weekly racing drivers from top short tracks across the United States and Canada. Invited attendees will include the 2009 NWAAS National Champion, NWAAS State and Provincial Champions, all 58 track champions, the national/ state/provincial Rookies of the Year, the 2009 Wendell Scott Trailblazer Award winner, and many others. The NASCAR Night of Champions Touring Gala will feature the champions and top drivers from all of NASCAR’s North American regional touring series including invitees from the NASCAR Camping World Series East, the NASCAR Camping World Series West, the NASCAR Whelen Modified Tour, the NASCAR Whelen Southern Modified Tour, and the NASCAR Canadian Tire Series. Further details will be released in the coming months. A couple of months ago, I met a very neat lady through a friend of mine on Twitter. She goes simply by the name of Z. 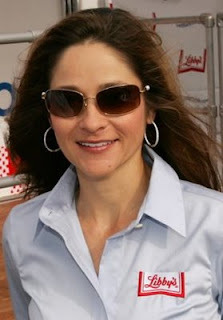 Her son is Moses Smith, driver of the number 16 HASA Toyota in the NASCAR Camping World West Series. Took me a while to think of it, but I finally asked Z if she and Moses would grant me an interview. Let me first say, Z and Moses, I really appreciate that you both took the time to answer mine and a couple of fan’s questions. You guys are awesome. What is the best and worst part of being on a racing circuit? Well, if we are comparing it to driving on the highway, the best part is that everyone on the track is there doing the same thing, and concentrating 100%. This makes things much more predictable. The worst part...I don't know I have never thought about it...Probably have to be that there is no Air Conditioning in the racecar, and it can sometimes reach temperatures in excess of 140 degrees F.
What got you started in racing? My dad used to work on Off Road Trucks, so I got to go to races all the time. But my dad did it as a hobby, and I thought it would be cool if I could it for a living. My dad taught me how to drive the "PreRunner" when I was 10 years old...I couldn't push the clutch in and shift at the same time, so dad had to help. What kind of sacrifices have you had to make to continue living this dream? Sacrifices...what sacrifices...I am living the dream. Actually the only real difference is that there is not a lot of security in my line of work, therefore I have had to be very conservative in the way I live...nothing to extravagant, not to many vacations either. *Submitted by Naomi* Has any part of your body ever gone numb while driving? *Submitted by Aaron* What are your prospects for moving into the Big 3 in NASCAR? Well, it really comes down to sponsorship. HASA and I have talked about doing some Truck or Nationwide races when they come to the west, to basically get my face out there. But that is a big step financially, I would definitely need to find some additional funding. I am keeping my fingers crossed. So I know you go to all of Moses' races. How does that affect your life? Well it makes me very very busy; but I must say that the affect has always been a positive one. Traveling to the races can be grueling. Sometimes we have three races in a month. 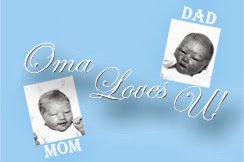 nevertheless, I love NASCAR, I love racing, and I really adore my two sons. It can be tough getting to the track at six in the morning and not leaving until after midnight, but the rewards are well worth it. I cherish the feeling of accomplishment I harvest from being part of the team, part of the racing community. Every achievement Moses reaches on the track is considered a team triumph. 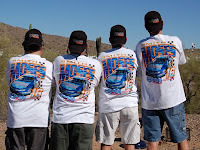 The team was delighted when Moses finished second at the NASCAR Camping World Series West season opener on March 14th. The activity does not stop on race weekend. I do a lot of my son's PR stuff also. I am in charge of his website, help process his hero card request, help with press releases and author my own blog NASCAR Race Mom. Like I said upfront, racing keeps me very busy! You seem like a very supportive and dedicated mother. When you go to a race, how do you look at things as a driver's mother and as a race fan? That is a very interesting question. In the beginning I approached my role more as a protective mother. Moses was on a 'pit crew' by the time he was three. He and his father would work long hours for Off-Road racer Malcolm Vinje. Moses started competing in organized go kart races at the age of twelve. Right off, I was struck by the level of competitiveness out there at the go kart track. I felt it was my role to level Moses' playing field, so to speak, by making sure everything was on the up and up. However, Moses has been on his own since he was eighteen. He has not only progressed as a driver, but as an astute businessman as well. He no longer needs his mother to protect him. So while I will always be a driver's mother when I am at the track, I do not mother him at the track. It is hard for me to be a race fan when Moses is racing, because honestly, I never watch the race, I keep my eyes on Moses. I become the race fan when I watch a race that Moses is not participating in. Is it hard knowing that when he climbs into the car he might not climb out? Your choice of the word car (instead of race car) is very insightful. My thought on the matter is that Moses is probably safer in his #16 Hasa Pool Products/White Flyer Toyota Camry on the track than most of us are on the freeway in our family vehicles. That is not to say that I do not worry. As a mom, I worry about my sons all the time. They still have to call me and let me know they made it home safe after a trip. However, I feel much better having Moses in NASCAR. It is nothing like Moses' Star Mazda Formula Mazda series races. Open Wheel racing can create some wicked crashes. What kinds of sacrifices have you had to make to support Moses' career? We are a working class family with modest means. So we have never been able to support Moses' racing financially. Even in the very beginning, Moses had to race with used equipment and on a tight budget. I personally feel it made him a both a better person and better driver. He knows how to race what he has - good or bad. NASCAR Race Mom had a bunch of fun providing 'At The Track' Toyota / NAPA Auto Parts 150 Live Blogging action this weekend. 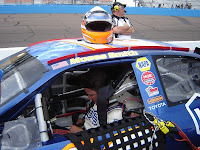 The Toyota/NAPA Auto Parts "150" at All American Speedway, in California was round two of the thirteen-race NASCAR Camping World Series-West schedule for 2009. Moses finished the event in eighth place despite a first lap spin. An addition to this Cover-It-Live segment was an impromptu “Live Contest.” NASCAR Race Mom Commenters enter the contest to win a Toyota / NAPA Auto Parts 150 Hot Pass T-Shirt signed by the some of the race participants. Congratulations to GennaGirl – Winner of the autographed Toyota NAPA Auto Parts 50 Hot Pass T-Shirt from the All American Speedway. The next event on the NASCAR Camping World Series West schedule will be the Jimmie Johnson Foundation 150 presented by Shamrock Farms at Phoenix International Raceway on April 16. NASCAR Race Mom will try to present another exciting contest on the 'At The Track' coverage of the event. Moses Smith, pilot of the No. 16 HASA Pool Products/White Flyer Toyota Camry for Bill McAnally Racing finished the Toyota/NAPA AUTO PARTS 150 in eighth after being spun in the first lap at the event at All American Speedway. He is currently fifth in the chase for the series championship and only 38 points out of the lead. Smith put the No 16 Hasa Pool Products Toyota Camry inside of row four in the starting grid in a field of eighteen NASCAR Camping World Series West racers for the 150-lap event. After being spun during the first lap of the race, Smith restarted in eighteenth. It wasn’t long before the leaders were putting Smith a lap down. When the first caution flag was shown at lap 40, Smith had moved up to 12th looking to get his lap back. By lap 54, Smith has moved into the top ten. Still a lap down, Smith wasn’t able to take advantage of the “Lucky Dog’ provision. With 20 laps to go, Smith would make his final position gain and finished in eighth. There were over four hundred Hasa Pool Product customers in attendance at All American Speedway cheering on Moses Smith, their favorite driver. Smith made a special driver appearance in the Hasa Hospitality area before the race. It was evident that the fans looked forward to seeing Smith race as they erupted in cheers as their driver was introduced before the race. The NASCAR Camping World Series West race the Toyota/NAPA AUTO PARTS 150 was a sellout. The NASCAR Camping World Series West race will be televised nationally on SPEED Channel’s Racing Across America on April 9th at noon PST. The next race will be at Phoenix International Raceway on April 16th. BMR would like to thank the continued support of our race partners. For more information on Bill McAnally Racing and our race partners, please visit our website at www.billmcanallyracing.com. For more information on Moses Smith, please visit his website. You can visit our sponsors’ websites: Hasa Pool Products, White Flyer, TCI Transportation and Blimpie America's Sub Shop.